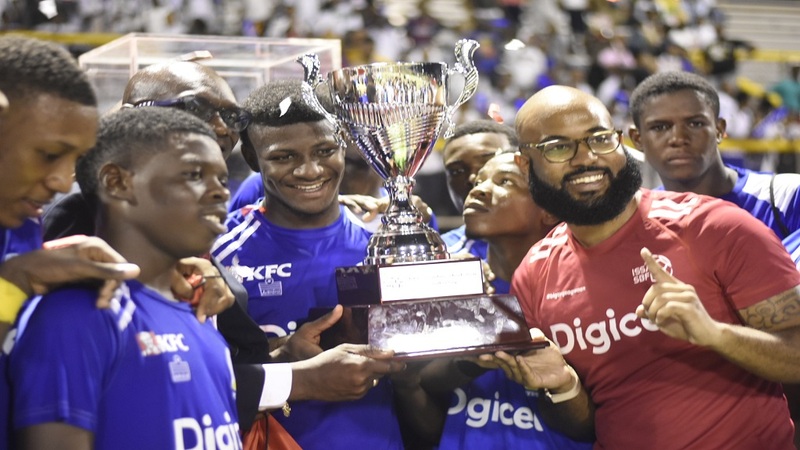 Digicel Regional Sponsorship Manager Andrew Brown (right) presents the Walker Cup to Hydel High following their 2-0 victory over Excelsior High in the final at the Stadium East field on Wednesday, November 14, 2018. (PHOTOS: Marlon Reid). Hydel High won their first major football title on Wednesday by defeating Excelsior High 2-0 in the final of the restructured Inter-Secondary Schools Sports Association (ISSA) Walker Cup knockout competition at the Stadium East field. The Walker Cup has been downgraded to a controversial second-tier competition this season. 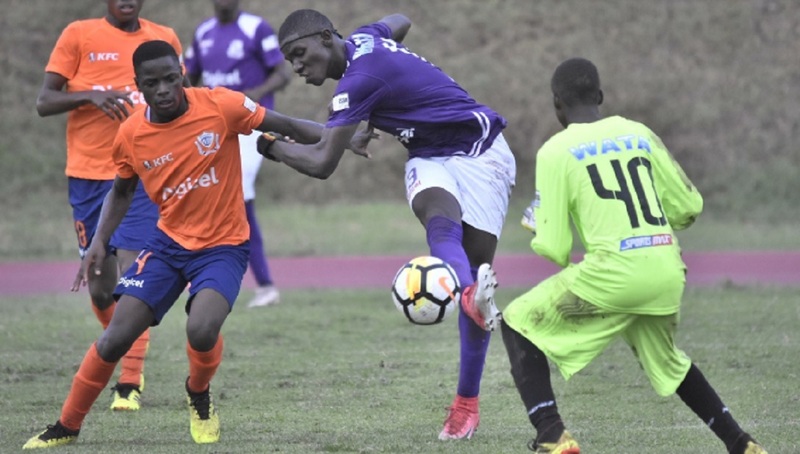 Traditionally the Walker Cup has been schoolboy football’s premier knockout competition but has now gone through a major change in that the competition now comprises the eight losers of the Manning Cup Round of 16 home-and-away knockout. In former years the seven preliminary round group winners and the best second place team earned the right to contest that competition. 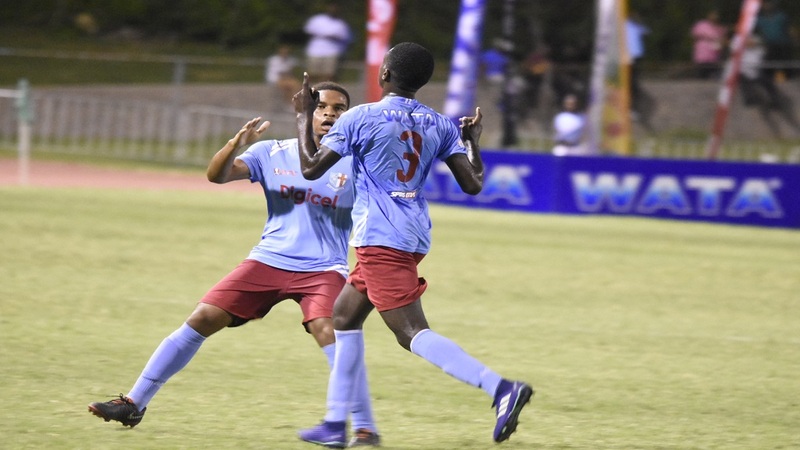 On Wednesday, goals by Fakibi Farquharson in the 74th and Deandre Walker, two minutes into second-half added time denied Excelsior High their eighth hold on the Walker Cup. 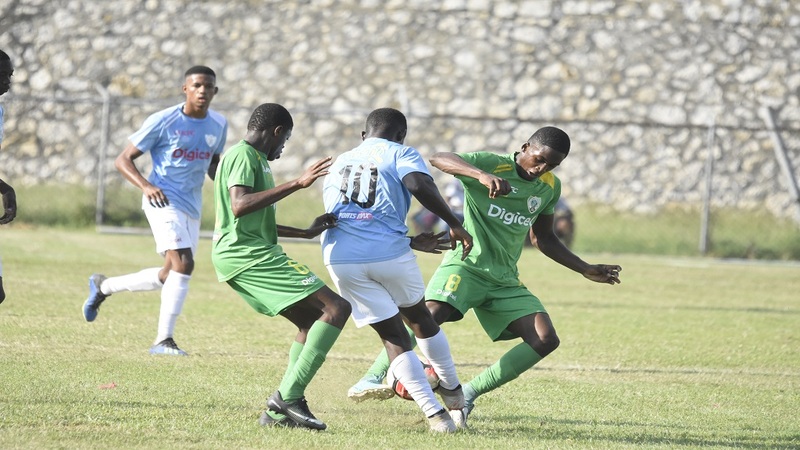 The first half was fairly even until Excelsior High took charge towards the end and placed Hydel High under constant pressure. During the period, Excelsior created two good opportunities with the first going to Damoreny Hutchinson, whose header from a Rohan Beadle’s cross, just missed the crossbar from inside the six-yard box. The other chance went to Raewin Senior who failed to beat goalkeeper Shauqan Davis from inside the six-yard box. Early in the second half, Hutchinson created an opportunity when he picked up a ball in midfield and dribbled by three opponents to the top of the 18-yard box. However, he unleashed a powerful shot to the left of the custodian, who went full stretch to tip the ball onto the crossbar. 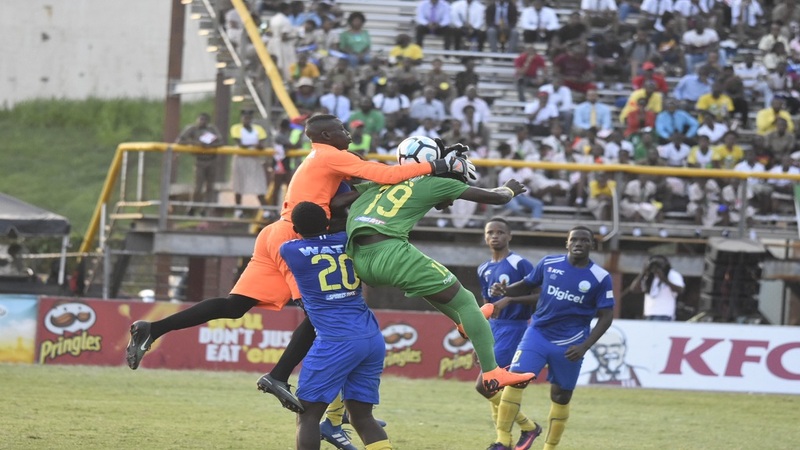 Walker then sealed the victory for Hydel and seconds before the final whistle tempers flared between the players, which resulted in the referee working hard go get things under control.